Hi everyone! Just wanted to make an update about Bounty Spots (a.k.a. 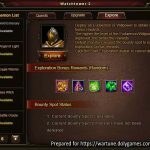 Bounty Targets before Wartune Patch 7.8). As you may know after the implementation of 7.8 the levels were reset from level 100 (previous maximum) to level 1. And since that day players are doing their Bounty Spots daily and working to recover their previous levels. As I have said several times in various locations the reset from level 100 to level 1 was a huge “theft” of rewards from players, but I do not think this was done as an evil action – I think it happened out of ignorance = their poor knowledge of the game. I do think there should have been a substantial compensation for this which did not occur, but OK, it is what it is. Also in Patch 7.8 it seems a new rule was added to the Bounty Spots / Bounty Targets whereby if you do not clear them out then their level goes down. This is not really a problem for active players but this is very damaging to casual or less active players. I can understand why this rule was added, i.e. 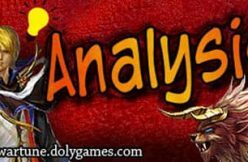 to promote daily playing, but there are many other ways to do that rather than damaging casual Wartune players. I personally like Wartune to be a welcoming game for both types of players. 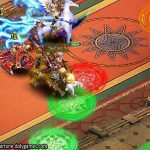 Older players may remember there even used to be a recovery system in the past in Wartune where players who could not play a lot could recover some percentage of rewards from missed events. I thought that was very nice, but because it had bugs they scrapped the whole thing choosing not to invest money to fix it. However some players wrongly made false statements! The level does not drop to zero! So for example if you reach level 20 and don’t do it next day it’s supposed to drop only 1 level or maximum few levels, which is not the end of the world. 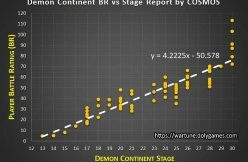 Furthermore, the level drops are decided per location so for example if you have done some of them and forgot to do 3 Bounty Spots then the drop normally should happen only on those 3. 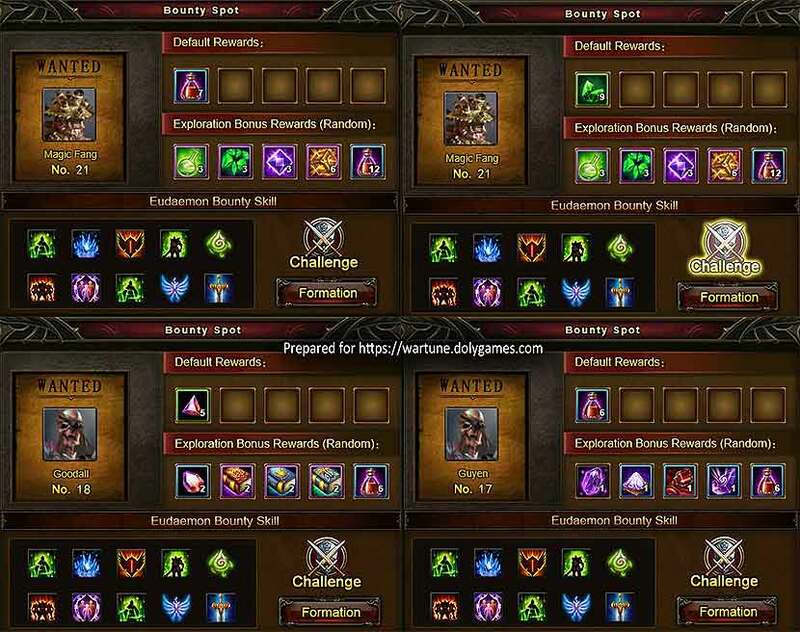 Good: it is fast to do them if you login 1 time in the day (note: Exploration is not required, if you are in a hurry you can quickly clear the Bounty Spots alone – Exploration simply adds more rewards – see my REFERENCE article on Exploration Rewards). I hope you liked my article. If you have additional information please post in the comments or email to me. If you find any mistakes in my content please politely inform me I will be happy to make a correction. How is your recovery going? Are your Bounty Spot Levels similar to mine or you managed to get a higher level? 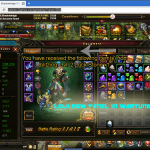 What is your opinion about Bounty Spots in Wartune – is it a nice / fair feature? 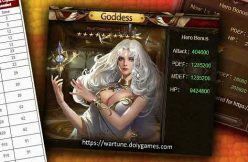 Do you manage to do them all every day or you sometimes miss if you cannot login to Wartune? These wartune admins are fart heads. They have no brain. They ruin everything. the lvl drop is pretty wierd. but how could that systyem be fixed if it could possibly aim multiple targeted players of casual/non-active – veteran/active players? do you have a sort of idea in mind? Previously Bounty Targets could be done any time of the day. That matches all player types. 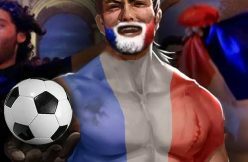 However, the new “levels drop” penalty hurts casual players. For example imagine your job sends you on a business trip for 3 days and you cannot play those 3 days – the new Bounty Spots will hurt you for that by dropping levels. THAT is not a good thing. There was no need for this rule. As for how to generally promote activity that is very easy to do via interesting events. I do not go in detail about it here as this article was about Bounty Spots. I’m sorry. this whole new bounty system is crap. I do not play it, because the rewards are not equal to the time you spend in clearing each bounty. I would love to get back my 13 plus lvl 3 diamonds when I do a bounty or any of the large amts for different items. if you needed to give us other items, make it worth our time. If not just leave it alone. Maybe some players like the new patch for bounty rewards. I don’t you cheated the players out of items they were getting before. And you think this is better? one piece here, a piece there with a max of maybe 6-9 pieces. it’s not. Dear idiot, how many times I have to explain to you that I am a Wartune player and this is a Wartune blog – I am not the person responsible for these changes, I am doing a service for you by providing you Wartune content / articles / videos. I have explained to you multiple times already as you spam your moronic comments in various articles. Feel free to blame the CORRECT responsible persons – not me! Thank you for your response. It was a bit lacking in decency. That’s because I tried 10+ times to explain to you nicely and respectfully but you kept on spitting on me by keeping on spamming / insulting me for making Wartune changes in multiple of my articles. Therefore now you got a more aggressive response which you fully deserve. And I repeat again in case it is still not clear for you – I do not make changes in Wartune. I am not the owner of Wartune. 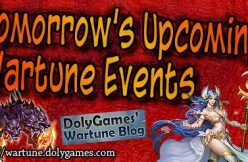 This is a Wartune blog. It is absolutely ridiculous I have to explain such basic things multiple times. really? now that is fascinating. but what data? you mean new releases? but what data? do you mean past updates? I respectfully disagree. 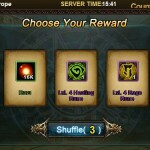 As time moves forward more and more rewards are given to free players. In the past free players would never dream of getting nice mounts for free. Now it is possible. In the past Advanced Tattoo was extremely difficult to obtain – now many free players got a lot of it. I can give MANY such examples (Adv. 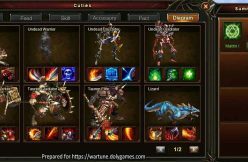 Sepulcrum, Adv. Mahra, Lots of Whips, and so much more). 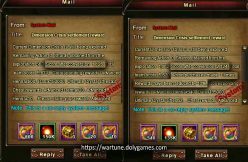 So Wartune is doing a very good job in giving new things to cashers and then after let’s say 6 months to 1 year releasing those things to free players while bringing new things again to cashers. That’s a wonderful fair system where everyone wins. 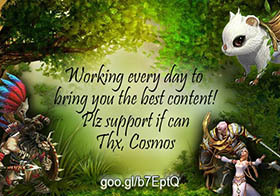 Cashers get to enjoy new stuff and Free players get to play and enjoy for free. I am still trying to get over the daily anger that they had to reset my bounties to begin with.. level 100 bounties were totally worth doing. The fact that they couldn’t add that update without nerfing us all seriously bad for 3 months is a ridiculous position to be put into in the first place. I think everyday as I am re-doing all the bounty levels that they should compensate us all for this.. As far as them dropping levels when you are inactive, that blows too. I thought it was that way already. I have sent them a ticket about this.. I doubt anything will come of it. Indeed. I had the same frustration. I am VERY surprised they did not give a large compensation for this “mistake”, but maybe players did not rally and did not create a mass of tickets. That might indicated that many players either did not realize that the level was reset or don’t care about it (or they chose to ignore complaints). Hi Barry, make sure you are not mixing with the location number. The Bounty Spot level is visible AFTER you enter one of the 9 locations. Normally it should go up by at least 1 per day if you do it daily. I share your frustration. Also the old way we clicked directly from 1 window and now have to do more clicks for no reason whatsoever, just because their game designers made a poor quality job.